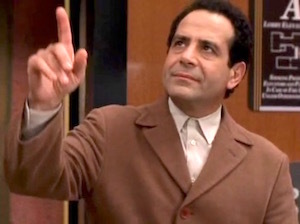 Monk was a comedy-drama detective mystery series created by Andy Breckman and starring Tony Shalhoub as the brilliant and tormented detective Adrian Monk. 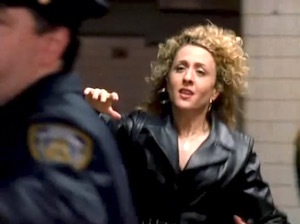 It originally ran from 2002 to 2009, is primarily a police procedural, but also features comic and dramatic elements in its depiction of the main characters' personal lives. The series debuted in July of 2002 and continued for eight seasons, ending its run in December of 2009 and receiving acclaim from critics and audiences. 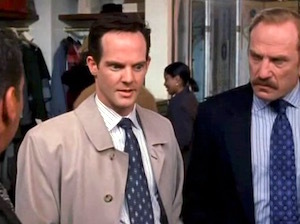 It won many awards, among them eight Emmys. 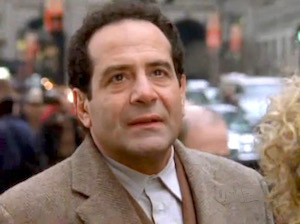 Adrian Monk was a brilliant detective for the San Francisco Police Department until his wife, Trudy, was killed by a car bomb in a parking garage, which Monk believed was meant for him. 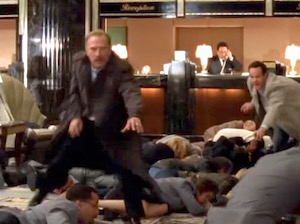 After Trudy's death, Monk had a nervous breakdown. 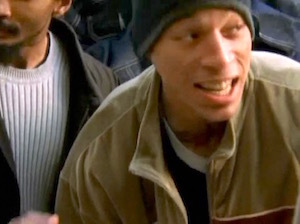 He was discharged from the force and became a recluse, refusing to leave his house for more than three years (becoming crippled by OCD in the process). 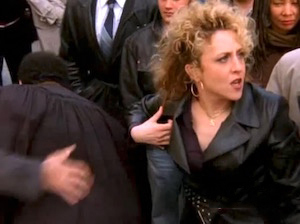 Until the final episode of the series, Trudy's death was Monk's only unsolved case. He finally musters the strength to leave the house with the help of his nurse, Sharona Fleming (Bitty Schram), and goes to work as a private detective and consultant for his old homicide unit, even while still hampered by his obsessive–compulsive personality disorder (OCPD), which grew much worse after the tragedy, in addition to several other phobias. 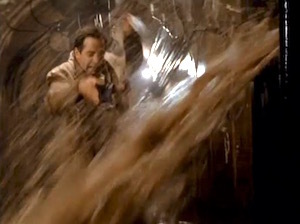 Monk's compulsions are many and varied, and include many phobias, most notably a fear of germs. 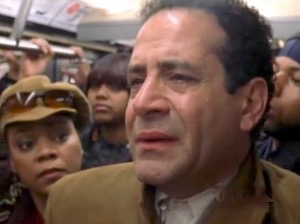 Monk has 312 known fears in all, some of which include driving, harmonicas, heights, claustrophobia, food touching on his plates, imperfection, milk, messes, ladybugs, and risk. 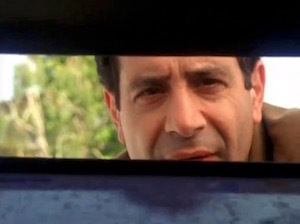 He did, notably, achieve a breakthrough from claustrophobia later in the series. 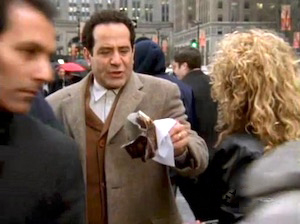 The OCPD and phobias invariably lead to awkward social encounters and serious difficulties for Monk and anyone around him during his investigations. 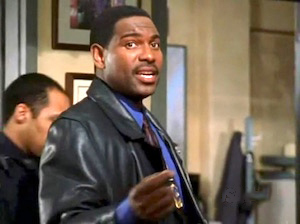 But it is these same personal struggles that aid him in solving cases. His super-sharp memory, the extreme specificity of his thinking, and his obsessive attention to detail are invaluable investigative aids. 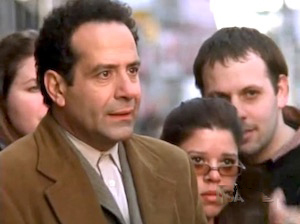 In one episode — "Mr. Monk and His Biggest Fan" — Marci Maven (Sarah Silverman) compiles a list of all of Monk's fears. In another episode, he tries to conquer those fears by forcing himself to engage in various activities which involve them: he tries climbing a ladder, drinking milk, even putting a ladybug on his hand, and achieves some success. But when he has to confront objects which are strewn haphazardly across a table, he gives in to the compulsion to neatly arrange them. 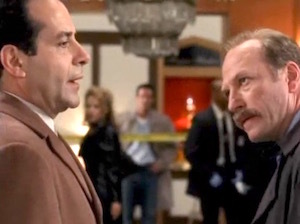 Captain Leland Stottlemeyer (Ted Levine) and Lieutenant Randall "Randy" Disher (Jason Gray-Stanford) often turn to Monk when they're stymied in their investigations. 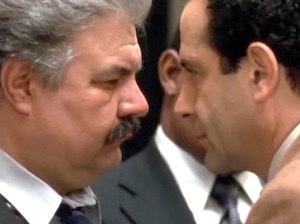 Monk's behavior is a frequent source of irritation for Stottlemeyer, but he can't help but respect his friend and former colleague for his piercing insight and powers of observation. 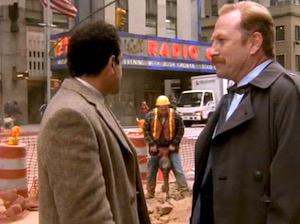 Disher is similarly impressed. 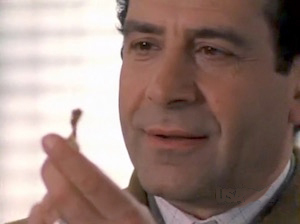 Ever since childhood, Monk's obsessive focus on minute detail leads him to spot tiny discrepancies, detect patterns, and make connections what are invisible to others. 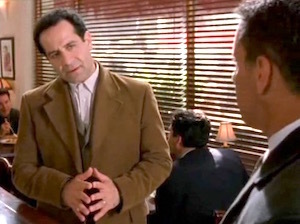 Something someone says or does will often trigger Monk to make a causal or logical connection. 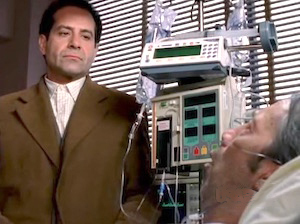 In his spare time, Monk continues to investigate his wife's death, and is afflicted by the possibility that he may never determine who killed Trudy. 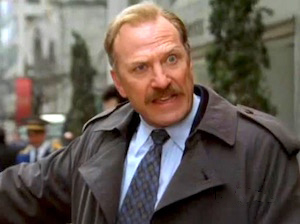 He dedicates himself in a general sense to solving murders because in a cumulative sense they add to the sum total of disorder in the world — a notion he finds intolerable. He is particularly moved to action when women are killed, or when the instrument of death is any kind of bomb, because this reminds him of Trudy's murder. 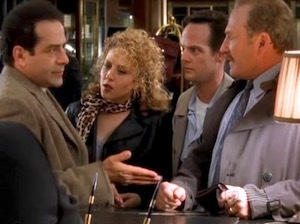 Monk has a brother, Ambrose (John Turturro), and a half-brother, Jack Jr. (Steve Zahn), whom Monk never knew of until his father tells him in season five. 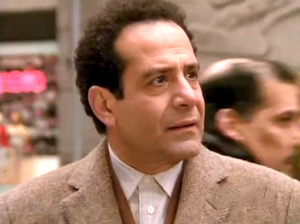 In an episode in season seven he meets Jack, Jr.
Adrian Monk (Tony Shalhoub) — former homicide detective and current consultant for the San Francisco Police Department. Afflicted by extreme OCPD and well known for his various fears and phobias, including, but not limited to: heights, snakes, crowds, glaciers, rodeos and milk (among a great many others). His wife, Trudy, was murdered in 1997. 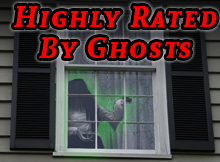 He is haunted both by her murder and by the fact that it is unsolved. 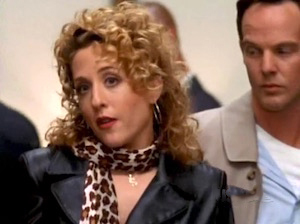 Sharona Fleming (Bitty Schram; seasons 1–3) — Monk's nurse and later his first assistant. Not only will she not baby him, she often forces him to do things that he finds thoroughly unpleasant. 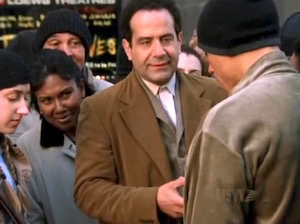 Her final appearance as a series regular comes in "Mr. Monk Takes His Medicine" (3.09) when she moves to New Jersey. 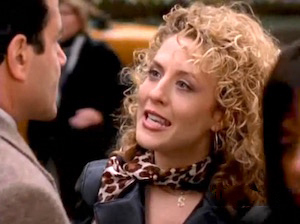 She does return briefly in an episode in the show's final season ("Mr. Monk and Sharona") for the sake of closure. 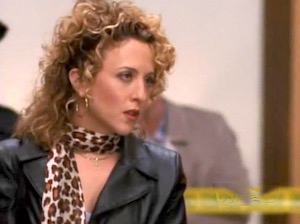 Natalie Teeger (Traylor Howard; seasons 3–8) — Monk's second and final assistant. 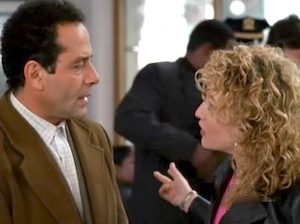 More deferential to Monk than Sharona, addressing him as "Mr. Monk", she is perfectly willing to tell him when his eccentricities get out of hand. A young widow who lives with her daughter, Natalie lost her husband when he was shot down over Kosovo in the Balkan wars. 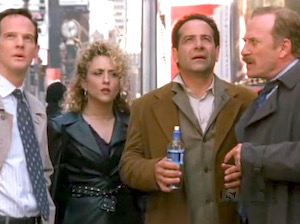 She first appears in "Mr. Monk and the Red Herring" (3.10). 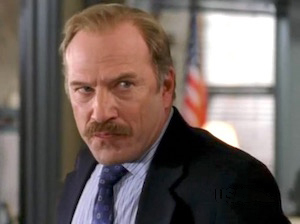 Captain Leland Stottlemeyer (Ted Levine) — Head of the Homicide Division of the San Francisco Police Department. Long-time good friends with Monk since the latter joined the police force. 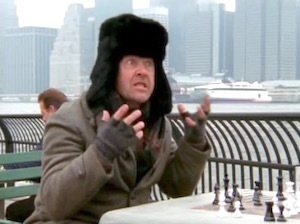 Continues to be Monk's friend throughout the series. Does his best to help Monk but is sometimes annoyed or exasperated by Monk's phobias and the difficulties they can cause. 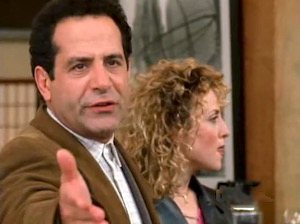 Reluctant to work with Monk in the first couple seasons, bothered by the idea that he can't handle his cases himself. By seasons three and four, his faith in Monk's contributions is well-cemented and his collaboration unquestionable. 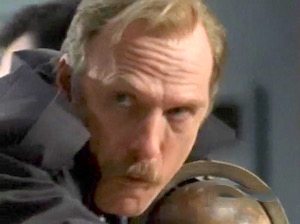 Lieutenant Randy Disher (Jason Gray-Stanford) — Naive, often considered unintelligent, known for his outrageous theories. Irritates co-workers, but they also obviously care about him. 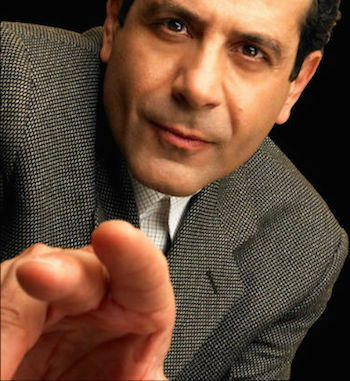 In the episode "Mr. Monk visits a farm" Monk tells him how the murder took place in his sleep and everyone believes he has solved the case. 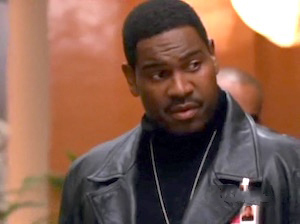 In season eight is seen kissing Sharona, and in the series finale he moves to Summit, New Jersey with her. 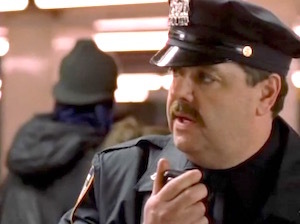 He becomes Chief of Police there. 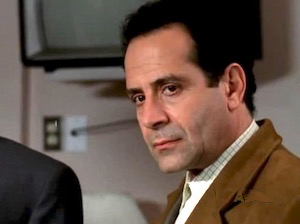 "Mr. Monk and (a person or thing)" — e.g. 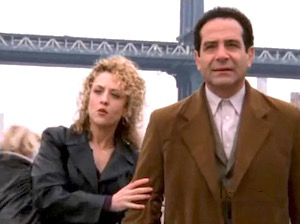 "Mr. Monk and the Bad Girlfriend"
"Mr. Monk (does something)" — e.g. 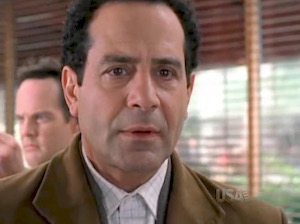 "Mr. Monk Goes to the Circus"
"Mr. Monk (is something)" — e.g. 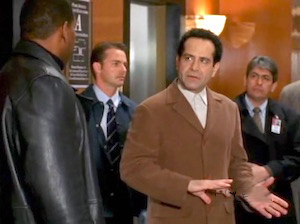 "Mr. Monk Is On the Run"
"Mr. Monk (gets something)" — e.g. 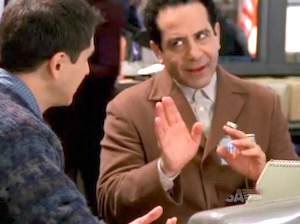 "Mr. Monk Gets Hypnotized"
The only exception to this rule was the season eight episode "Happy Birthday, Mr. Monk". 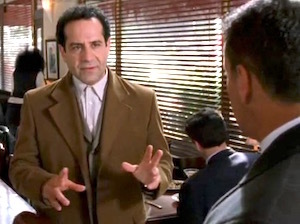 Some episodes start as one type of case, but turn into another: in "Mr. Monk Gets Hypnotized", a suspected abduction turns into a murder case. 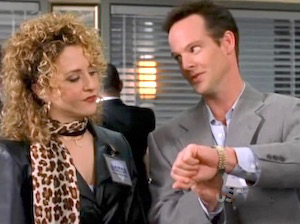 In the humor-laden "Mr. Monk and His Biggest Fan", Marci Maven (Sarah Silverman) refers directly to previous cases Mr. Monk has solved by actual series episode titles. 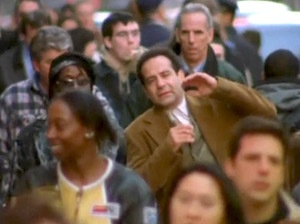 Monk knows the murderer's identity and methodology. 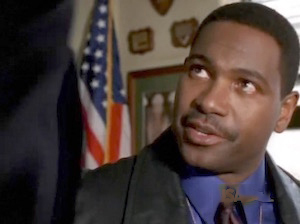 The episode consists of his attempts to gather enough evidence for an arrest. 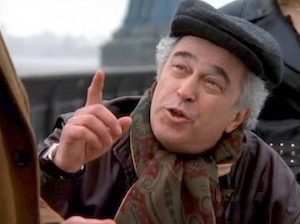 As such these episodes are similar in story structure to Columbo. 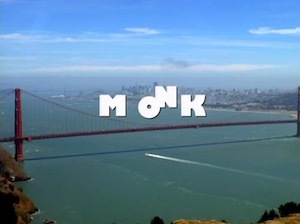 Monk knows the murderer's identity and motive, but the murderer has a seemingly air-tight alibi. 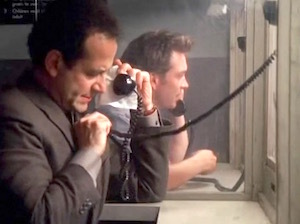 The episode consists of Monk's efforts (invariably successful) to break the alibi and find out exactly how the killer has killed. 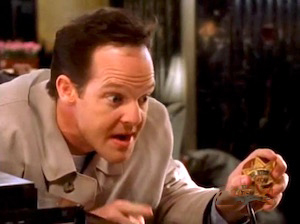 Monk must figure out the identity, methodology, and motive of the murderer. Monk knows the murderer's M.O., but not their identity or motive. 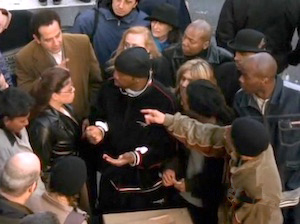 Most episodes have a story sequence, filmed in black-and-white, in which Monk reveals how the crime was committed, almost always prefaced with the words "Here's what happened" (or a variation of that phrase). 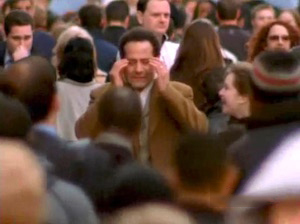 Usually these sequences come near the end of the episode, but not always (in "Mr. Monk Takes the Stand", for instance, it comes at the beginning). Sometimes these sequences depart from the show's formula in one way or another. 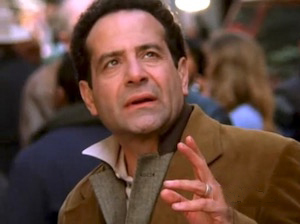 In "Mr. Monk Goes Camping" Monk explains the details of the crime to a bear. 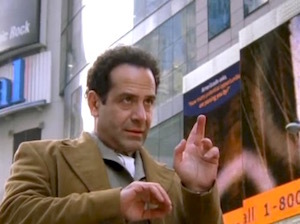 In "Mr. Monk and the Kid" the explanatory sequence is told as a bedtime story. 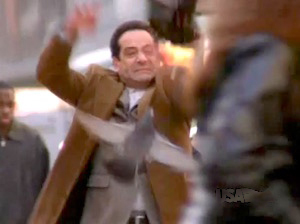 It is chanted during a ritual at a monastery in "Mr. Monk and the Miracle", comes in a dream in "Mr. Monk's Favorite Show", is told by someone other than Monk in a number of shows (Sharona in "Mr. Monk Goes To Jail", Natalie in "Mr. Monk and the Birds and the Bees", and Disher in "Mr. Monk Visits a Farm"), is rapped out by guest star Snoop Dogg in "Mr. Monk and the Rapper", and is told in another language in "Mr. Monk Falls in Love". 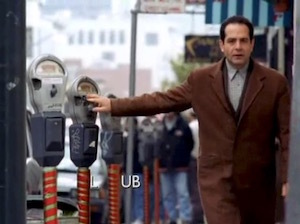 In two episodes ("Mr. Monk and the Garbage Strike", and "Mr. Monk and the Lady Next Door"), Monk gives multiple versions of his summation, all of which are wrong (except the last one) because of his inability to concentrate. 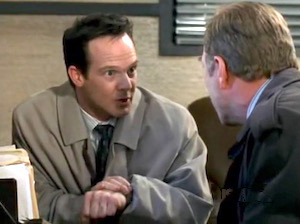 In "Mr. Monk Gets Cabin Fever", Monk and Disher give simultaneous summations of different crimes.